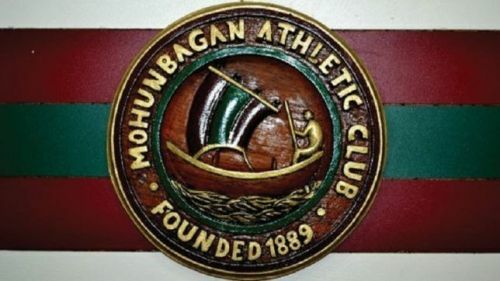 Mohun Bagan fans were over the moon when the word spread that the management had finally zeroed in on a sponsor for the upcoming season and will bid for the Indian Super League. But they will be utterly disappointed as Bagan boss Srinjoy Bose clearly stated in an official press release that the information gathered from the social networking site was disseminated from a fake account which was named after Debashish Dutta, a top official of the century club. 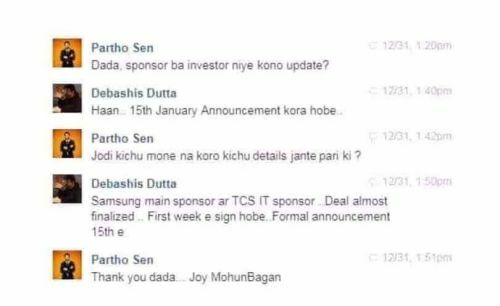 As per a chat between a Mohun Bagan fan and the fake account user, the latter informed that the club is in talks with Samsung as the main sponsor and also TCS IT supporting the cause. With the deal almost final, they were about to make a final announcement on January 15, while the paperwork will be done by the first week of the month. The news went viral after a local daily published it. In order to avoid further confusion, the management decided to send a formal letter and announce that the news is not authentic. On the other hand, TCS IT (the rumoured sponsor), is a part of the parent body TATA. Jamshedpur FC is already owned by TATA Steel; it would have been hard to believe that the corporate giants would be associated with two football clubs in the country. With arch-rivals East Bengal already roping in a corporate sponsor, the pressure was on Mohun Bagan to seek financial back-up. With the turmoil getting intense between the cash-rich Indian Super League and the I-League, it was assumed that the Kolkata giants will shift to the glamorous ISL, apparently the more popular league between the two. The spotlight will be on Mohun Bagan; they need to find a solution as soon as possible. The bid papers for the next season has to be submitted to the All India Football Federation (AIFF) within the given date along with a fee of ₹15 crores, or else they might lose the opportunity to play in the ISL next season.